A big pack for big days in the mountains. Full disclosure: I like European gear. Euro clothing often fits me better and their pack designs are often svelte rather than burly. 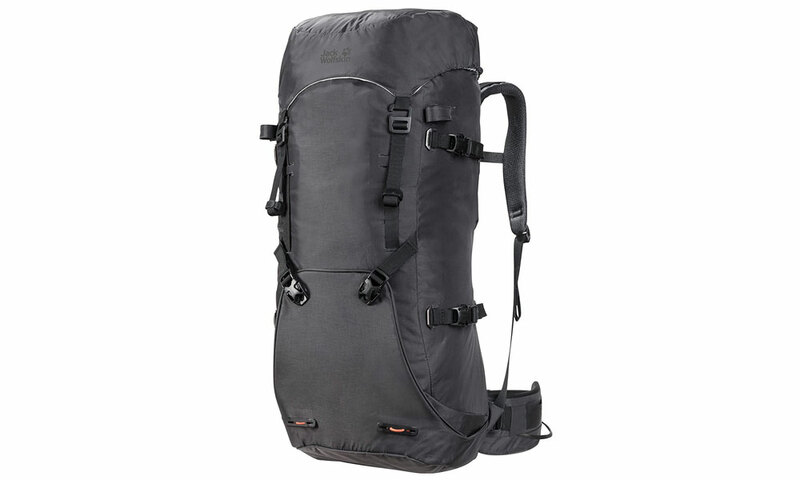 Hence my excitement at grabbing a first look at the Mountaineer 42L pack by the German company Jack Wolfskin. 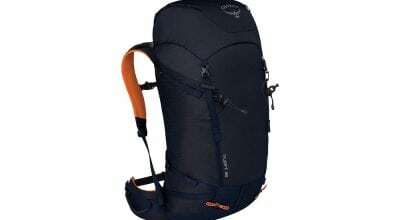 The Mountaineer’s slim profile, littered with easy-to-use lashing and compression straps and easy-open compartments immediately made me warm to the pack. The generous 42-liter capacity provides sufficient space in the main compartment to stow all your kit: rope, climbing hardware, food, water, spare clothes, etc. Furthermore, on the outside, the pack was engineered with a simple padded crampon pocket and a stowage chamber for the piolet point. I was also impressed with some other modest details that, while minor, make the difference between a decent, usable pack, and the one you hold on to until your grandkids ogle your antiquated, yet cool, pack and then subsequently destroy it by leaving a burrito in there for the bears to find. 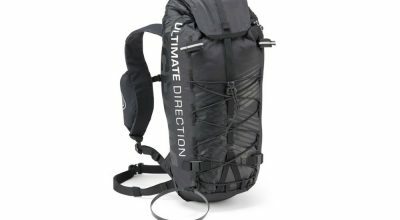 Firstly, instead of the normal drawstring cinch closure system, this pack has a vaunted roll-top, dry-bag-like closure that greatly increases the pack’s weatherproofing while at the same time simplifying access. Secondly, the waist belt comes with gear loops, an often underrated and overlooked accessory on mountaineering packs. Finally, the lid is easily detachable and adjustable for odd loads. Lastly, as if to confirm my suspicions that this pack is yet another example of uber German engineering and forethought, the straps of the pack (read: the dreaded dangly bits) have a built-in strap to keep them rolled up neatly and out of the way when not needed! Wunderbar! In summary, this bag is a good bet for the snowy reaches of the mountains. It’s light, well-designed and big enough to get you far away and over the hills.